Urban Identity offer streetwear and customised clothing in Bristol, UK. 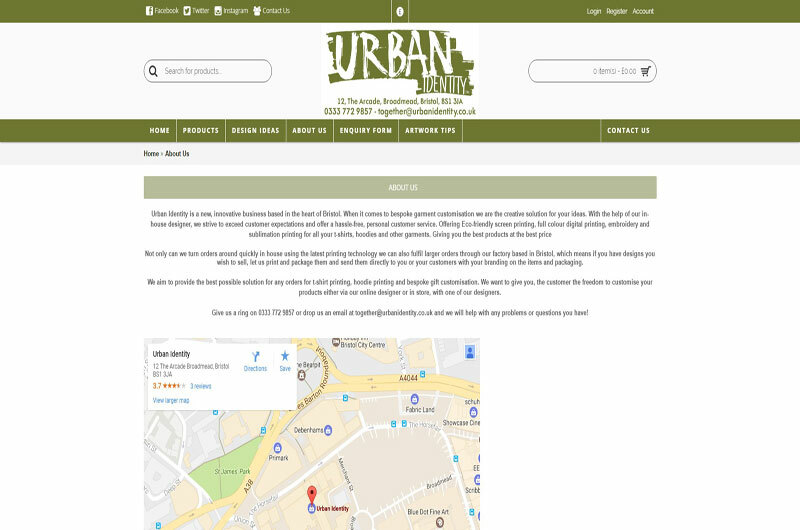 Urban Identity is an innovative clothing store based in Central Bristol. When it comes to bespoke garment customisation, they are a creative solution for your ideas. With the help of in-house designers, they strive to exceed customer expectations and offer a hassle-free, personal service. They offer eco-friendly screen printing, embroidery, full-colour digital print, and sublimation for t-shirts, hoodies and other clothes. They aim to deliver top quality clothing and customisation services at the best possible price.